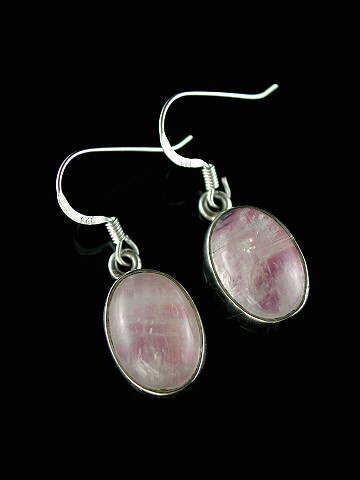 Rare and oh-so-pretty Pink Rainbow Moonstone earrings in a classic 925 sterling silver setting. With its baby pink, iridescent colour, Pink Moonstone is the perfect stone for all matters connected with the Heart. It can help restore the carefree innocence and joyfulness we felt as young children and is, therefore, great for inner child work.